When Pearl Harbor was attacked in 1941 we entered WW II and the Japanese were trained for night combat. We were not. There was a lot of concern to get our combat troops night vision and vitamin A was thought to be the way to do it. Before the war started chemists were working with sardines in California fisheries, trying to synthesize them as another fisheries product, and found independently that dogfish shark livers were rich in Vitamin A. Once Norway fell to the Nazis and there was a shortage of cod liver oil, a market developed for dogfish livers and the price just kept going up and up (1). Everyone and their cousin went into the fisheries, even my brother Jim. We had a cabin on San Juan Island in Rocky Bay, which is north of Friday Harbor. I was about 10 years old in 1942 and my brother was 4 years older and dogfish fascinated us. At night we would have a bonfire on the beach and the families would gather around it and tell stories. I only remember one, my mother’s concern with the Nazis infiltrating Norway, and she said that they could come down our road and take us too, as they did in Norway. Her parents came from a farm near Bergen, Norway. I remember that because I couldn’t believe that the U.S. could lose the war and I argued with her. Unfortunately I don’t remember any of the other stories, but I do remember the splash at high tide next to the fire and seeing the green eyes reflecting firelight in the clear black cold water. With a flashlight you could see the large dogfish cruising back and forth next to the beach right next to the tideline, attracted to the firelight. We would capture them by gaffing or netting them with a hand net. In some of the females we would find fully formed pups or a fully formed dogfish with a small egg sac attached to its belly. We’d take those out, put them in the water and watch them swim out to sea. They apparently were close to being born. I think it was in the summer of 1944 that my brother wanted to earn money during summer break. It’s hard to remember what happened 69 years ago but as I recall he put together a longline. He purchased commercial hooks and attached each to a short branch line which he would tie to a main line, spacing them evenly apart. Then he rigged a buoy line with a float on top and an anchor below, attaching the main line to the anchor so it would lie along the bottom. He baited the hooks with rabbit meat and set the gear out in front of the cabin using the skiff. San Juan Island was infested with domestic rabbits. The story that I heard was that a farmer went broke raising them on the island, so instead of killing them he let them out and they flourished. Farmers hated them and would let us hunt rabbits in their fields. During the war they drove trucks through the fields at night and the headlights and spotlight would freeze the rabbits in place so they could be netted and put in cages. Then they went to market on the mainland where meat was scarce and rationed. We would hunt them with our 22’s and bring them back to the cabin, skin them and cleaning them while checking their livers to make sure they weren’t speckled, which indicated they were diseases. Mother would fry some and we had meat which was a scarcity during the war. 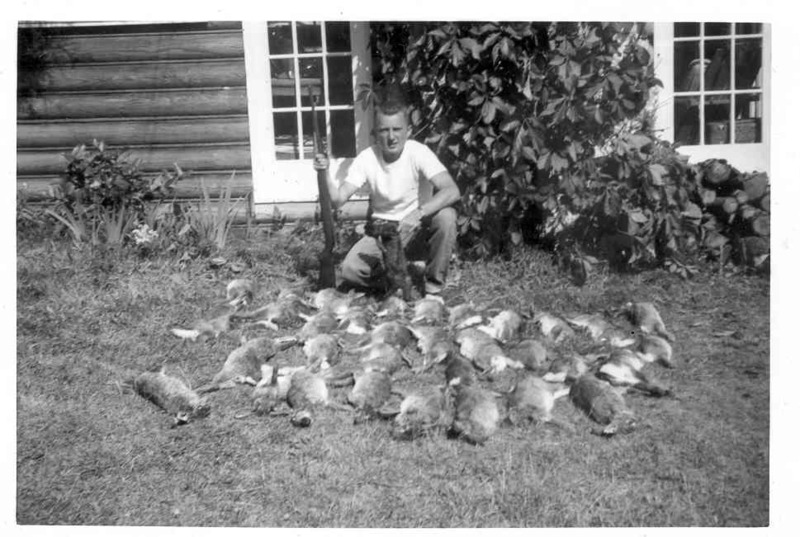 My brother shot 50 rabbits one evening and he claimed that he killed two rabbits with one shot both through their heads. Apparently they were lined up perfectly. Jim let the longline soak overnight before hauling it by hand. He’d put the hooked dogfish in the bottom of the skiff and return to the beach, where we would clean them, remove the livers from the carcasses and put those into large square tin 5 gallon cans. Once filled he’d push the top into each can, rebait the hooks and set the gear again for the night soak. At the fishhouse in Friday Harbor I was fascinated to see the fishing vessels unloading the same type of cans as he was receiving payment for, and watching those being placed into the big stacks of cans all the same size, all filled with shark livers ready for processing. It’s difficult to determine how many dogfish were caught during the commercial fisheries, since the method of keeping a record of the landings changed from pounds of dogfish landed to pounds of dogfish livers landed. 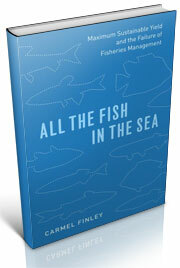 A factor of 9 to 1 was used to estimate the number of dogfish taken from the livers landed during the fisheries (2). Production reached a sharp peak in 1944 along the Pacific coast, Oregon to Alaska. The fishermen at sea would remove the livers and discard the carcass. Dogfish were a nuisance to sport and commercial fishermen before WW II. They were plentiful at the beginning, but with the need for vitamin A during World War II the fisheries for shark livers about wiped out the dogfish resource. But once synthetic vitamin A was discovered and gave the same results as the natural vitamin A, the market disappeared, the fishery collapsed and it was over. As a student at the College of Fisheries I learned that dogfish gestation period is 2 years and they have an average of 7 pups every two years. The pups are fully formed at birth with no egg sac, and are ready to feed and start life as a fully formed shark. The survival rate is high. Even so, it took many years for the resource to return, and it sure did. Ask any fishermen about dogfish in Puget Sound now and you will get an earful. 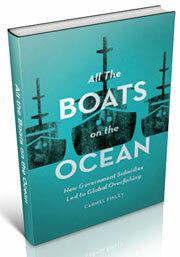 (1) Carmel Finley Blog, Oregon’s first fishery Collapse, posted on March 21, 2013. (2) Hart, J. L., Pacific Fishes of Canada, Fisheries Research Board of Canada, Bulletin 180, (1973), p 47. 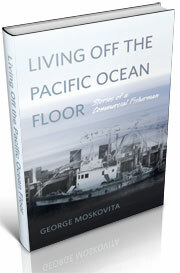 This entry was posted in Pacific Fishing History Project, Soviet fishing, U.S. Coast Guard, World History and tagged Fisheries Science, History of Science, Pacific Fishery History Project. Bookmark the permalink.